Airbus hopes to be selling passenger planes powered by hybrid engines by 2030. 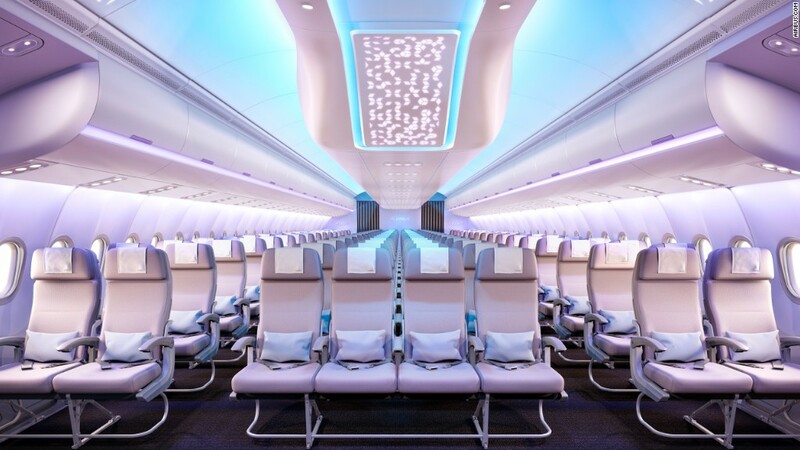 The European aircraft manufacturer is teaming up with German industrial conglomerate Siemens (SIEGY) to develop hybrid planes that can carry up to 100 passengers. The aircraft would use a combination of electric power and conventional fuel. They would operate a bit like a Toyota (TM) Prius car: Quieter and much more fuel efficient than similar models, said Siemens spokesperson Florian Martini. The hybrid Airbus (EADSF) planes would consumer 25% less fuel and would be almost silent during take off and landing, when running on electric power, according to Siemens. At cruising altitudes, the planes would be powered by jet fuel. The planes are expected to have a range of about 620 miles, enough to get you from New York City to Detroit, Michigan. The ultimate goal for Airbus is to develop "zero-emissions aviation," CEO Tom Enders said in a statement. Airbus and Siemens are developing a commercial hybrid electric aircraft that could carry up to 100 people. Airbus said it's been spurred to develop the hybrid technology by European emission rules requiring that aircraft emit 75% less CO2 and generate 65% less noise in 2050 than in 2000. 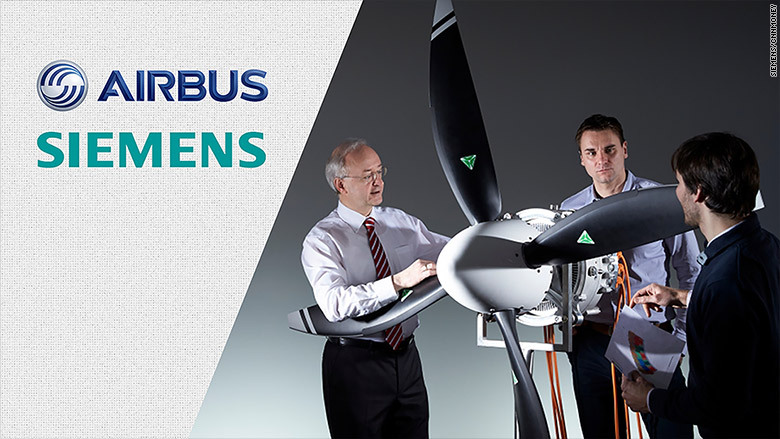 Airbus and Siemens have been working together since about 2010 to develop the technology on a smaller scale. Last year, they flew a small all-electric aircraft from the U.K. to France in a 36-minute flight. Now they're committing more resources to the project by creating a 200-person team to work on the technology. U.S. competitor Boeing (BA) has worked on similar projects with NASA, developing small aircraft that can be powered by hybrid electricity and liquified natural gas. An era of super-quiet hybrid planes could open up new opportunities for the aviation industry, said Siemens spokesman Martini. Authorities could potentially allow planes to fly later at night without disrupting residents living near airports, he said.